In this lesson Paul shows us how to prepare our cake to get it ready for being ganached. In this lesson you will learn some handy tips on adding extra height to your cake, supporting and adding strength to the cake (handy for transporting) and also making the cake easier for the customer to cut. Paul is adding dark chocolate ganache to this cake but of course for children especially you may want to use milk chocolate ganache. If you are unfamiliar with ganache then click here for an indepth tutorial on using ganache. You will need a large palette knife to apply the ganache to the side of the cake and don’t hold back. Put plenty on and once you covered the whole side of the cake get a metal cake scraper, wet it and then place against the cake card and apply equal pressure as you scrape around the cake. Remember and create a nice tall lip at the top as this will help you in the next section. To test whether it is equal all the way round just place the scraper against the card and see if you can see any uneven gaps between the cake and the scraper. You will now see why you needed that lip at the top of the cake. This helps you create a nice sharp edge at the top of the cake. Get a jug of hot water and dip your clean palette knife in it and make sure at least half of it is wet. each time you cut away a section of the lip. You may find it handy to have a turntable for this section to save you having to constantly maneuver around the cake. When using the metal ruler at the top of the cake think of a plane taking off from a runway as you near the edge and slowly bring it up to create a slight ramp. This is the final stage of ganaching the cake and it is so incredibly satisfying. This will surely convert all buttercream users! Again you will need a jug of hot clean water and an equally clean palette knife. Dip the palette knife in the water and then gently go around smoothing the ganache. Once you have done this get a clean pastry or large soft brush and dip it in the water and go around the cake smoothing it even further. In this lesson Paul uses 1.5kg of sugarpaste which ends up giving a lot spare but it actually makes the whole process easier as it creates longer and easier to work with pleats as you will soon see. Paul also advises that rolling out the sugarpaste to about 3mm in thickness will be thin enough to create a sharp edge and thick enough to not be damaged too easily. When creating the sharp edge if you are feeling confident and have clean hands you can even use your index fingers to sharpen it even more. Just be careful not to dig into it too much. In this lesson Paul gives some further advice on stacking the cake showing where to place cake card and dowels to add support to a tall two tiered cake. We hope you have enjoyed this tutorial and stay tuned for some more fantastic tutorials. 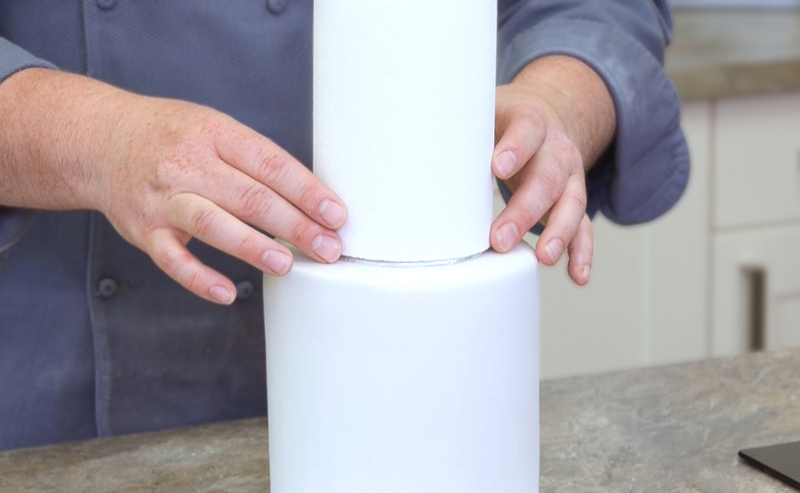 In this free tutorial Paul shows us how to cover a tall cake. Paul takes us through each step in great detail covering cutting, ganaching and creating sharp edges with sugarpaste. A must watch for any new cake designer. The 6 videos are very helpful for a beginner like me. Just a question. Before covering the cake with fondant, is ganache covered cake brought to room temperature or its cold and firm? Thank you for getting in touch. Yes it is best to cover your ganached cake with fondant when it is cold and firm. 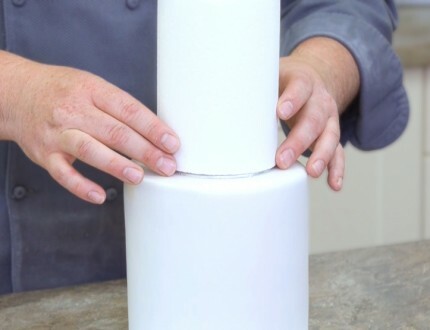 This way, it prevents the cake from altering it’s shape when placing the fondant onto it. Was the Massa Ticino sugar paste that Paul used in this video the ordinary one or the Tropical? 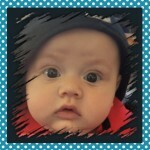 Hi Cupcakemama-co-uk thank you for getting in touch. Do you wet it overtime? Or only when you’re using chocolate ganache? How your ganache is so hard? what is the proportion of chocolate and cream? Paul refridgerates ganache before using which is why you’ll see it as a hard and stiff mixture. Hoep this helps. How do you get your cakes so deep? I usually prefer covering my cakes in buttercream especially with non chocolate cakes. How can I still do this and get it ultra smooth? Buttercream cakes will never get the clean sharp finish that you will get with ganache. If you prefer to bake thinner cakes then just use extra layers to get the height. What can I use as an alternative to chocolate ganache if someone has an allergy ? Great video, I only wish I had watched this one before I stuck my two top tiers onto the cake cards….I didn’t think of cutting a bit off the outside of the card. Unfortunately I have stuck the cakes onto the cards with dark chocolate, so I am pinning all my hopes on to my daughter making enough fondant roses to cover the cards up. Great videos and very informative. Really good tutorial and looking forward to putting it in to action but most people order vanilla cakes from me especially for children, what would I use to ganache? I use buttercream to “dirty ice” my cakes to keep the price of the cake down as ganache is more expensive to make? Paul would use white chocolate ganache with a vailla cake, but I take your point regarding cost. Paul sometimes mixes buttercream and white ganache so you get the best of both. I just wanted to say as a beginner, thank you guys so very much for doing this weekend FREE course preview… It has been an awesome experience. I am sad to say that due to other commitments I did not start to watch until late Saturday evening but I plan on doing a marathon until its over. This has helped me to decide to join… Thank you Chef Bradford you are the BEST….. The ganache can shade the white fondant slightly, depending on the thickness used. If you are using the same ganache on all tiers then they will all be slightly shaded, but not really noticeable. If you are concerned use a thin layer of white ganache which should balance it out. It’s a shame you didn’t receive a reply to this Debs as I was wondering the same thing too .. especially about the bottom of the cake card sticking to the ganache on the tier below. Does anyone have any advice regarding this please as I have a double barrel coming up soon. Thanks, great video and informative. These free tutorials, have as much information as the ones we pay for. This is quite informative. I love this school. Paul and everyone is just so wonderful . But I do have Just one question about this course on layering a double layer cake. . Paul was talking about how to add a card between the layers on the double barrel cakes, plus the dowels between each layer , when you stack. My question is, after you’ve stacked all your layers, and placed dowels on each layer, if you are going to have a fondant Topper on top, or large roses, do you need to add a card, and dowels as well, before placing your topper on the very top layer. Or can you just go ahead and place on top? In lesson 2, are you using cold water or hot water? In lesson 3, are you saying put the ganache cake into the fridge for 5-10mins. Will it melt from cold air to room temperature later? Please kindly advise. Many thanks! You would use hot water to heat the knife to help smoothing the ganache. In Lesson 3 the cake is only put in the fridge to speed up the ganache setting process. Ganache has a far higher melting temperature than buttercream and will set firm at room temperature. I would like to try this with a 7″ cake, I have two 7″ cake tins which are 3″ high . I can you tell me how high the cake is in the video. You’re in luck – Paul used 3″ tins. Really enjoyed this video. I am definitely going to try the massa fondant. Thank you. Can you use paint brushes for smoothing the cake? Unfortunately a paint brush won’t work well as a smoother. The smoothers iron out the lumps and bumps which a paint brush wouldn’t manage.